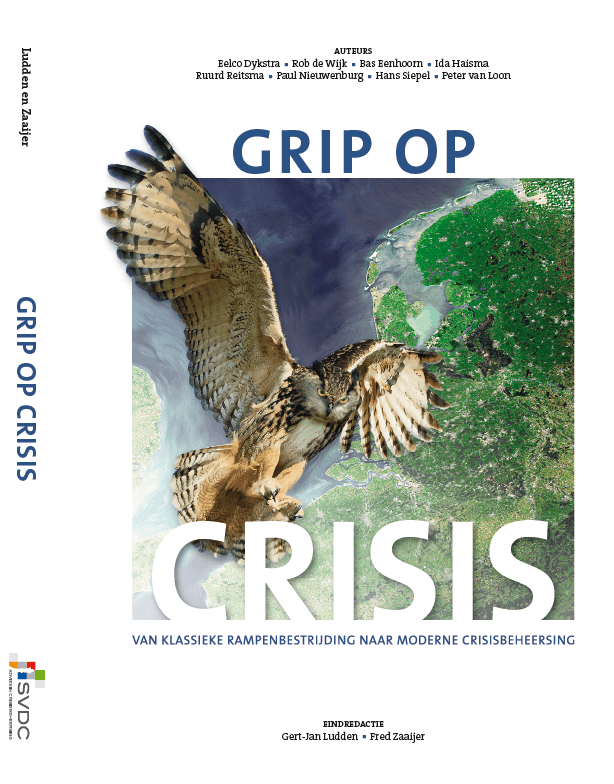 On Tuesday 9 February the book ‘Grip on crisis - from classical disaster relief to modern crisis management’ was presented at Nieuwspoort. The book is an initiative of Gert-Jan Ludden (SVDC) and Fred Zaaijer and encourages the improvement of crisis management in the Netherlands. The book explains the differences between disaster relief and crisis management, gives insights in the pitfalls and suggests solutions for recurring problems. The book consists of contributions of among others, Bas Eenhoorn (Mayor during the Alphen a/d Rijn shooting incident), Rob de Wijk (HCSS), Lieutenant General off duty Ruurd Reitsma, Paul Nieuwenburg (Leiden University) and Ida Haisma (HSD). The contribution of The Hague Security Delta focusses on public-private cooperation in the crisis management and security domain as a possible solution to the identified issues. Practical solutions are provided to make public-private cooperation a success. On 3 March SVDC organises a seminar in Zeist where the book will be presented nationwide and all the authors will be present. You can register here. Click here for more information about the book (in Dutch).